Resources to help promote self-control in every classroom every day. Building SEL (social and emotional learning) skills such as self-control requires face-to-face interaction, meaningful discussion, and reflection. Edtech is no complete substitute for that, but there are tools that can supplement the development of character in the classroom and at home. According to the Character Lab, self-control is "controlling one's own responses so they align with short- and long-term goals." While some tools focus specifically on self-control, the websites and apps that you use daily (in all subjects) can be used to promote mindfulness, too. You don't have to stop using the tools you love or toss out your lesson or curricular plans to start developing SEL. Below we have included some tips, tools, and actionable ideas for seamlessly integrating self-control and life-skills-building into your content classroom. Having self-control (some prefer the term "self-regulation") is about appropriately managing your thoughts, feelings, and impulses. It starts with being consistently mindful of yourself and others and working toward a high emotional intelligence. So much of the way we use technology today challenges the idea of restraint, from tweeting in anger to posting for "likes." There has been a large body of research suggesting that self-control is a key factor in determining success as an adult, so many schools are creating programs that address it, including this school that is embracing glitter jars and breathing balls. Whether or not we get caught up in what self-control is, most teachers would agree there is value when students are able to regulate themselves, leading to increased focus and accountability for their actions. Teach a lesson that helps students think about possible outcomes before posting on social media. Host a discussion around our digital impulses (clicking on junk articles, scrolling on social media, or posting for likes). Praise students for effort and action, rather than for general traits such as intelligence. 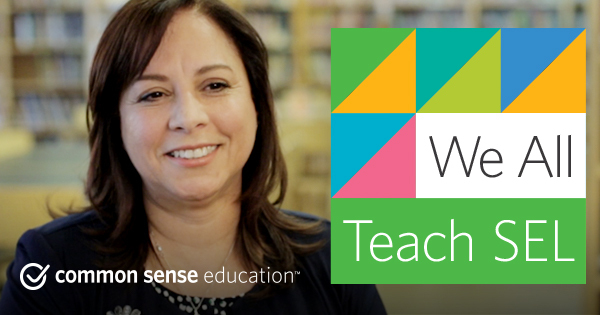 Think about the digital tools you're already using in the classroom. Can you find a creative way to use them to model self-control? Check out our suggestions below. See our list Top Tools for Building Mindfulness in the Classroom for more resources focused on self-control. Our online video uses music and characters based on familiar body parts to teach students to stop and think before acting and to make the connection that behaving responsibly online is a lot like behaving responsibly offline. Find a comfy spot, plug in your earphones, and just press play. Smiling Mind is an app that helps students practice meditation through breathing exercises and visualizations. Kids will learn lifelong skills to cope with stress and stay calm. Building self-control involves first paying attention to one's emotions. Use the tons of prompts and images here to get kids writing and thinking about how they feel. Keep a daily journal or have them practice listening to stories they narrate in-app. Kialo is designed to foster thoughtful debate of complex issues. Have students preplan some of their arguments, and then reflect on how being prepared made them feel differently from how they felt when they made claims in the heat of the moment. With Time Timer, students will learn the numbers and sequences involved in telling time and use it to focus behavior. Kids can time themselves during assignments and transitions and create an infographic showing how the results change over time. Students will want to jump right in to this fun animation and geometry app. Let them, but go back and make a second animation, this time planning out each step ahead of time. Compare the two results and discuss how being mindful can have a huge impact. Let students explore the heart and lungs in this app. Students then can measure heart and breathing rates when they're scared, sleepy, and so on. From the data, have kids draw how their body systems might behave differently based on emotions. With these 3D models, students compare the anatomies of various organisms. Show students videos of animal behavior, and analyze how structure relates to function when it comes to our impulses, our instincts, and how we self-regulate. With PenPal Schools, students around the world can work together on collaborative projects. Customize a rubric that includes self-control, and have students assess themselves as they discuss provocative topics like race in America. Students will be practicing patience and control as they listen to these public radio stories about current and historical events. As students listen, have them rank the strength of their emotions on a scale to see the changes as the story progresses. With ClassDojo, teachers can send students daily text reminders of homework. Students will need to make choices that affect their goals, answering questions such as: Is it more worthwhile to keep playing this game or to finish my work? Show students some of the consequences that have arisen from people who tweet based on emotion or impulse. Have students tweet about a topic from class but also have them write out beforehand how they think people will react to it. Explore our lists Movies That Promote Self-Control and TV That Promotes Self-Control to share with parents.